Moving A Senior Loved One: Excitement or Anxiety? When most folks talk about moving, congratulations are usually in order. New and exciting things are happening, new decorations, new furniture. There is excitement in finding a new home and everything that goes with it, including sharing with family and friends. But when a senior loved one is told they should be in an assisted living environment, they are overwhelmed with sadness and stress. Most seniors feel safe in the comfort of their home but alone. Giving up their sense of security can cause a range of emotions from anxiety to fear. 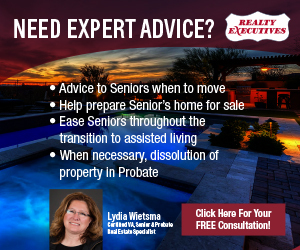 As a Senior Real Estate Specialist (SRES) I have sold many homes for senior loved ones making the transition into independent or assisted living communities. And every single senior goes through the same process with their feelings. Many of my seniors have lost a spouse and are having to make the transition alone. Many of my clients feel that they are losing a part of their life because they are leaving the home they shared and all the memories that come with it. Reminding your senior loved one that just because they are moving doesn’t mean that they are disrespecting their memory of the loved one. I always like to ask them, “if their spouse was still alive, would they be happy with the way they have been living?” Most all the time, they tell me no! Their loved one would want them to live a life fully, spending time with friends and family, enjoying new experiences. When moving a senior loved one, many times they just need a listening ear and the assurance that things will be okay. I always like to remind the seniors I work with that these communities not only will be their new home, but many will have fun experiences meeting new friends, maybe a new best friend that they never would have met had they lived all alone. If they like to read, they should start a book club. If they like antiquing, have the community rent a bus and take everyone antiquing. Many times after my senior clients have moved in, they all tell me, “I should have moved in years ago!” Studies do show that when someone has interaction with others, they become healthier and live longer, because of the socialization. Moving to a senior community can be the most rewarding time of their second half of life, and the seniors can add real value to moving in and embracing the community.